In the span of two days PokerStars celebrated two significant milestones. On Sunday the Sunday Million weekly tournament turned seven years-old and the site hosted its 7th Anniversary Sunday Million tournament, and on Monday the Road to 100 Billion Hands promotion reached its penultimate milestone hand, 95 Billion. Here is a look at both of the historic moments. 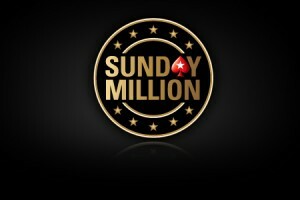 On Sunday PokerStars hosted the third largest Sunday Million tournament in the seven year history of the event. A total of 49,287 players registered for the 7th Anniversary Sunday Million, well off the record set in September of 2011 when 62,116 players took part in the Sunday Million to celebrate the 10th Anniversary of the launch of PokerStars. Still, Sunday’s turnout was good enough for third place, generating a massive prize-pool of just under $10 million –nearly $3 million above the $7 million guarantee for the tournament. *Denotes three-way deal with $160,000 set aside for the winner. Over the past year or so Pokerstars has been giving away thousands of dollars during specific milestone hands on their way to the incredibly impressive number of 100 billion hands dealt. On Monday the latest milestone was reached as PokerStars dealt its 95 billionth hand at a simple $.08/$.16 No Limit Holdem table. *MenFedlak was actually timed-out of the hand, with Pokerstars giving him 30 minutes to reconnect before dealing the milestone hand. Alas, Hungarian Internet servers are apparently not the most reliable in the world and he was unable to go all-in pre-flop with the other players for a chance to win even more than the $10,240 he was awarded.